How Do I Contact PCBAStore? As one of the most cost-effective and high quality PCB fabricator and PCB Assembly servicer, we are having more than hundreds new engineers using our services for their research work. We are answering questions from around the world on the daily basis concerning their PCB and assembly business. We aggregate these questions for our new customers to know about our product and service. Q1: When you produce the first assembly, could you send me some photos to confirm the final product? A: Yes. If you would like to confirm the final product before manufacture, please leave a note "Send me photos of the first assembled board to confirm" in the BOM file or just send this request through email when quote. Q2: Can I send you some components for my future assembly orders? A: Yes. However, before you send them to us, please contact us with full details of the shipping information, quantity, and part numbers. Q3: What is the expected delivery time for a turn-key PCBA order? A: The general lead time for the fulfillment of PCBA orders is about 2-5 weeks. This includes PCB manufacture, component procurement, and assembly. Q4: Is there any minimum order quantity (MOQ) for the PCBA order? A: No, there is no MOQ for PCBA on our side; the order quantity is totally up to you. Q5: Can you perform an X-ray after assembly? A: Yes, we can perform X-ray tests after assembly for parts like BGA. Q6: Can you ensure the quality of the parts you use? A: We purchase all our parts from reputable agents like DigiKey and Mouser. As such, we can guarantee the quality of the parts we use. We also have a quality control department that verifies the quality of all parts before they are incorporated into our products. Q7: Do you accept to assemble the boards that are not made by PCBAstore.com? A: Currently we do not use other’s PCB to assemble at our facilities. We offer the PCB fabrication, parts sourcing and PCB assembly in a continuous and smooth manner to save our customer’s time and money. Q8: What files and documents do you request for my PCBA orders? A: We need Gerber files, Centroid data and BOM for your PCBA orders. As have already placed your PCB order with us, actually you only need to send the latter two if your PCB Gerber files have included the layers of silkscreen, copper track and solder paste. If your PCB Gerber files are missing any of the above-mentioned three layers, please resend them, as this is the minimum request for PCBA. For the best possible result, please also send assembly drawings, instructions and photos to us to avoid any ambiguous and even mistaken placement of parts, though these are not required by most of the assemblers. A: Centroid is the special file for assembly used for quickly programming the assembly machines. This is also known as aka Insertion, Pick-N-Place, or XY Data. Some of the CAD tools will automatically generate this file and some not, but you may need to modify the file and then generate the Centroid file. The Centroid file describes the position and orientation of all the surface mount parts, which includes the reference designator, X and Y position, rotation and side of Board (Top or Bottom). Only surface mounting parts are listed in the Centroid. Q10: How do you request for the shipping and marking of the parts for the consigned or kitted order? A: We hope you can mark on any individual package or box with the corresponding line number on BOM, manufacturer’s part# or customer’s part#, quantities. A detailed packing list is preferred to enable us to count and check upon receipt of your parts. Q11: What is your requirement on the parts overages for consigned/kitted PCBA? A: Proper SMT machine setup and operation requires parts overages. Unused and excessive parts supplied by you or purchased by us will be packaged and returned to you with the assembled boards.SMT parts which are not supplied on reels should be on one continuous strip of tape.If you need to assemble the same SMT part in different boards, do not cut them into strips, please keep them in the continuous strip of tape or on the reels.Resistors, Capacitors, Diodes (0603, 0805, 1206, 2225, SOT, SOD, MELF - packages) require a minimum of 50 pieces and have to exceed the required quantity by 30 pieces. (e.g. : assemble quantity 40 pieces – we will need 70 pieces – this meets our minimum of 50 pieces plus 30 pieces over assemble quantity).Resistors, Capacitors, Diodes (0201, 0402, miniMelf, miniature packages) require a minimum of 100 pieces have to exceed the required quantity by 50 pieces. (e.g. 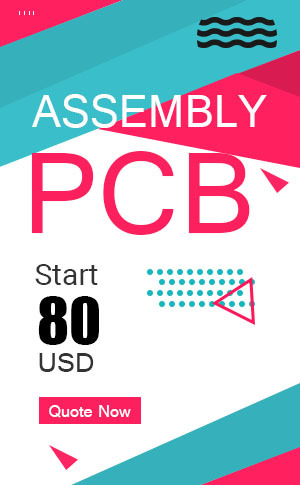 : assemble quantity 80 pieces – we will need 130 pieces- this meets our minimum of 100 pieces plus 50 pieces over assemble quantity).A small number of excess(1-5 pieces based on the total quantity of assemblies) is requested for expensive parts such as IC, BGA, QFP, Connectors, etc., this will ensure smooth assembling and shipping your assembled boards on time. If you have any question or doubt, please send more extra or contact us for answers. Q12: Can you source some parts for my assembly? A: Yes. This practice is called partial Turn-key. You can supply some parts, and we source the rest of the parts on your behalf. We will ask for your approval for anything that is not sure at our side. In case parts crossing or substitution is needed, we will again ask for your final approval. Q13: Do you assemble BGA? Any special requirement on this? A: Yes, We have the ability to handle BGA of 0.25mm pitch with X-ray testing. For BGAs, we need to tent any vias under the BGAs with solder mask to ensure the soldering quality. Q14: How do you handle the excessive and unused parts? A: Excessive parts do exist because we will ask for some percentage of overage for consigned/kitted orders, or we will buy more for the same purpose for those Turn-key orders. You can either ask us to ship back to you these unused parts together with the loaded boards, or keep them in our shelf for your next order. All up to you. Q15: How do you quote the total price of PCBA service? A: Our online instant quote system gives the rough idea of the cost of PCBA which include the tooling, laser cut steel stencil, and labor. In case of Turn-key or partial Turn-key PCBA, the cost of parts will be added. We do not mark up on the parts that we will source for you. Q16: When does the turn-time begin? A: Due to the complexity of how to determine the turn time of PCBA services, our policy is that turn-time begins immediately after all the parts and PCBs are ready and all the PCB files (Gerber files/other PCB files, etc.,) , Centroid (Pick & Place PNP file, or XY Data or files in other formats), BOM, and all other necessary data or documents/images/photos are complete for our assembly work. Q17: Is your assembly RoHS Compliant? A: Yes. But we also offer leaded PCBA services. Q18: Why do I need to panelize my boards? A: Panelization is needed when your PCB dimension is smaller than 50mmx100mm, or when your PCB is of any shapes (circular, or odd shape) other than rectangle, your boards must be panelized in an array for assembly. As we also fabricate your PCB for you, so once we start fabricating your boards we will have the panelization file (solder paste data), we will transfer the data to PCBA department to create the stencil to match the panelized PCB. Q19: Why do I need to design Break-away Rails (Break-away Tabs) ? A: If the clearance between the board’s edge and copper features is less than 3.5mm (138mil), or your boards need to be panelized for some reason, Break-away rails (Break-away tabs) must be added at the two longer paralleled edges of the boards to ensure that the boards can be assembled by the machine. This enables the boards can be processed by the SMT machine. Q20: What are your PCB Assembly standards? Q1: Can I increase the order quantity once an order has been placed? A: Unfortunately, we cannot increase the order quantity once the order is in the process of fulfillment. However, you can add a new order for the additional quantity at any time. We can arrange for all orders to be shipped together, if required, and will recalculate shipping costs accordingly. Q2: Can I order the boards that my friend or colleague have ordered from you in the past? A: Yes. When you place a new order, please provide full details of the order number you wish to replicate and we will check that you belong the same company. Q3: If I want to ship two orders together, how much money can I save? A: If you wish to combine orders, we will recalculate the shipping cost according to the weight of the order. Q4: How can I place an order? / What are the steps involved in placing an order online? A: We prefer customers to place orders online. You can place your order online in six simple steps: Step 1: If you are a new customer, please register an account.Step 2: Login to our website.Step 3: Click the "start quote" option on the home page, input the full details of your specification requirements. To generate an instant quotation select "Quote," and "Add to cart." Step 4: You can add additional items to your order by repeating Step 3. Once you have placed all the items into the cart, select the "Check out" option.Step 5: Complete the check-out process and upload your design files.Step 6: After you have placed your order, you can track its progress online at any point. Your design will be reviewed before production, and you will be contacted if there are any discrepancies. Please ensure you check your emails on a regular basis to ensure you are available to answer any questions our technicians may have, and to respond to their suggestions. Q5: How can I repeat a previous order? Do I need to upload or send files for reorders? Q6: I cannot locate the area in which I should upload the files? A: Please click the "upload" button, which is located below the PCB specifications. Alternatively, you can send the files directly to us at sales@PCBAstore.com. Q7: How can I reorder? A: Go to menu "My account" > "Order history" > "Display order detail" and select the "Reorder" button that is located next to the order you wish to repeat. Q8: How can I place an order with FR4? A: Please click "Start Quote" option on the homepage, complete the specification details according to your design, select "Quote" > "Add To Cart" > "Checkout." Select your payment method, choose the option you would like to pay for and click "Continue" > "Submit order." Q9: How can I track the fabrication and shipping status of my order? A: We have developed the industry-leading system of easily tracking the fabrication status online in your account with PCBAstore.com. You can also track the shipping status after we send out your PCBs to your address through API of DHL. It is easy and fun! Q10: Can I cancel order if I feel I can not receive my PCBs due to PCBAstore’s fault after tracking the fabrication status online? A: We promise 100% satisfaction and we are keeping a record of 99% on-time delivery! If you feel you can not receive your PCBs as scheduled due to our fault, you can cancel the order and ask for full refund or credit your PCBAstore.com account for payment of your next order. Q11: How should I send the files to you? A: 1.Via web: login to your account and select "My Account" > "Order history." Click on the relevant order number to display the details. In the "Products ordered" area beside each part number, click on the "Upload" button to upload your file online.2.Via email: When you click on the "Upload" button, you will be presented with a pop-up page that contains details of the email address to which you can send the required files.3.Via direct email: Send an email with the required files attached to sales@PCBAstore.com. Please ensure you indicate the order number to which the files correspond. Q1: How can I get a quote? A: At PCBAstore.com, you can use our hassle-free online quote system to get your price instantly and immediately after you input a few parameters online. Of course you can still ask for a traditional quotation request by sending email to service@PCBAstore.com and our service person will quote within 24 hours, do not forget to enclose your Gerber files and all other necessary files for PCB quotation. Q2: Where can I find details of the product prices? / What information do you need to generate an accurate quotation? A: There are two ways to get an accurate quotation.1) You can visit our website at www.PCBAstore.com, where you can generate a quotation online. OR2) You can send the specifications and Gerber files for the PCBs you require to our sales team at sales@PCBAstore.com, and we will issue a quotation via email. Q3: In which circumstances will you charge additional costs? Are the special costs one -time costs or recurring costs? A: We will either charge or refund any differences between charges if there are differences between the online quotation and the cost of production once the full specification is confirmed. If fulfilling your order requires any special requirements or techniques, you may be charged additional costs. Additional costs may be levied for the following: Laser drill, back drill, countersunk, counter bore, edges plated, skip V-scoring, half-cutted via, vias filled with epoxy, via in pad / vias filled with copper, requirement for 100% failure free in panel, special press-fit connectors, multi-type surface finish, multi-color silkscreen or solder mask, surface finish (ENIG) area in the boards exceed standard (15 %), gold thickness exceeds standard of 1-3 micro inches, over-sized board (width size / height size 600mm or more than 600 mm), ultra small board (width size and height size are both less than 25 mm), special packing requirements, etc. Yes,they're allways recurring costs. Q1: How do I calculate the expected lead time for an order? A: Our lead time is counted from the next working day following receipt of payment and confirmation of specification and files. Any orders placed on Sundays and public holidays will be processed on the next working day. Q2: When does the turn-time begin? A: Due to the complexity of how to determine the turn time of PCB fabrication, our policy is that turn-time begins immediately after your Gerber files and all other necessary files being received, reviewed by us and re-approved by your side. When all these reviews and approvals are done, we will start fabrication immediately. Q3: Can you finish PCBs in a shorter time? A: Yes, we can reduce the lead time if you have an urgent requirement; however, you will be charged rush fees. For standard single-and-double-layer PCBs, the shortest lead time available is 2-6 days. For standard multiple- layer PCBs, the shortest lead time available is 3-8 days. Please email sales@PCBAstore.com for full details of the lead times and rush fees charged. Q4: What is the expected lead time for a PCB? A: The standard lead time for standard-sized double-layer boards is approximately eight working days, and for standard-sized multilayer boards it is approximately 12 working days. Q5: What is the expected lead time for a PCBA order? A: The standard lead time for PCBA orders is approximately 3-4 weeks. This includes PCB manufacture, component procurement, and assembly. Q6: What is your turn time on a Turn-key order? A: As we need to source all the parts for Turn-key orders, the turn time largely depends on how quick we can get all the parts. We will let you know through everyday email communications. Before all parts are ready, we will fabricate the PCBs and start to make the stencil so that we can start assembly immediately after we get the parts. Q7: What is the lead time for the production of stencils? A: The standard lead time for stencils is 1-2 working days after we have confirmed the stencil file. Q8: What should I do if I have not received the confirmation email? A: You should receive a confirmation email within 1-2 working days of placing your order if there are no file issues. If you have not heard from us within this time period, please email sales@PCBAstore.com for assistance. Q2: Can I pay by credit card? A: Yes, you can pay using your credit card via PayPal. Unfortunately, PCBAstore cannot process credit card payments directly. Q3: I have placed a PCB order; however, I haven't made the payment. Can we include the assembly cost in the quote so that I can pay for it all at once? A: Yes. After the assembly quote and BOM are confirmed, we will add the assembly cost to the order and send you the final invoice so that you can make the full payment. Q4: What should I do if I have not received the PayPal link? A: Please contact us at sales@PCBAstore.com and we will send the PayPal link to you. Alternatively, you can send the money to our PayPal account at payment@PCBAstore.com. Please ensure you note the order number with any payment you send. Q1: I noted the DHL tracking number in your delivery email; however, the tracking information was unavailable on DHL's website. Is the tracking number correct? A: Please kindly check the tracking number at a later time. If the goods have only recently been shipped, the tracking number may not yet exist in DHL's system. If you are unable to track the parcel after 48 hours, please contact us at sales@PCBAstore.com and we will check the delivery status for you. Q2: I have just placed two orders online. Can I combine the shipments? I have placed two orders, can you ship them together? A: Yes. Please email us at sales@PCBAstore.com together with details of which order numbers you wish to combine. We will combine the shipments and recalculate the shipping cost. Q3: I have ordered 800 PCBs. Can you ship 500 PCBs first? A: Yes. However, please note that you will be charged any additional freight costs that are incurred as a result of splitting the order into separate shipments. Q4: What shipping methods do you use? What is the standard delivery time? A: We accept Freight Prepaid and Freight to Collect.The delivery of PCBs takes between three and four working days if sent by express post by FedEx, UPS, DHL or TNT. Any goods that are posted by air will take longer to arrive. We recommend customers use the express service if the goods weigh less than 50 kg. Q5: What express delivery options are available? When will I receive my order? A: The delivery of PCBs takes between three and four working days if sent by express post by FedEx, UPS, DHL or TNT. Q6: Can PCBAstore.com change my way of shipment? A: Yes, but it is based on the perception that the NEW way of shipping will be speedier for the shipping box reaching your address earlier than the previously chosen courier. All we do is to ensure your best possible ordering experiences with PCBAstore.com. Q7: What if courier company (DHL etc.,) fails to deliver my PCBs as scheduled? A: This does happen from time to time, though pretty rare. If this happens, please contact courier company for updated time of delivery. Though legally we are not responsible for the delay, we still will track or phone call courier company for updates. The worst case is that we will remake PCBs for you and re-ship to you. For the extra courier charges, we may talk to courier company for compensation. Q8: Who will be responsible for the customs duty that may be levied at my country? A: As PCBAstore.com fabricate your PCBs in our facilities in Shenzhen China, we ship internationally to your country. As the customs policy in different countries may differ, some customs authorities in some countries may levy customs duty on imported PCBs. If this happens, it is your responsibility to pay. In many countries, the duty may be waived or exempted. Q1: Are your PCBs RoHS Compliant? A: Yes. But we also offer leaded PCBs. Q2: Can you ensure the finished boards are lead-free and fully compliant with ROHS? A: Yes, we can manufacture lead-free and ROHS compliant boards, if required. Q3: Why do I need to panelize my boards? A: Panelization is needed when your PCB dimension is smaller than 50mmx100mm, or when your PCB is of any shapes (circular, or odd shape) other than rectangle, your boards must be panelized in an array for fabrication. You can pre-panelize at your side, or we can also panelize for you. In the latter case, we will send the panelization file back to you for your approval before fabrication begins. Panelization is a MUST if your PCBs will use surface mounting machines for assembly. Q4: Why do I need to design Break-away Rails (Break-away Tabs) ? A: If the clearance between the board’s edge and copper features is less than 3.5mm (138mil), or your boards need to be panelized for some reason, Break-away rails (Break-away tabs) must be added at the two longer paralleled edges of the boards to ensure that the boards can be assembled by the SMT machine. Q5: If I only have the files for individual/single PCB, but would like you to panelize the boards, what should I do? Can I just send single PCB files? A: Yes, it is fine to send us single PCB files. However, when ordering, please specify that the order is "Panel type" and provide full details of the estimated panel dimension and how the boards should be panelized. Q6: Do you offer metalcore PCB / flexible PCB/ flex-rigid PCB/copper PCB? A: Yes. Please send us the Gerber file together with the full specification of your requirements and we will arrange a quotation. Q7: What are your capabilities of PCB fabrication? Q8: What are the maximum layers you can produce for flex PCB? Q9: What files do you need? / Do you accept files in BRD format? A: As a default, we accept Gerber file RS-274X format. (Note: 274D format is not accepted) We also accept the following layout files:*.ODB++, PROTEL *.PCB/ *.PCBDOC EAGLE *.BRD (IMPORTANT: please provide your Eagle Version to avoid conversion mistakes). Q1: My account is *****, I could not log in / I forgot my password. A: A: Please click on the "forgot password" option. Our system will send you an email. Please click on the link in this email to update your password. Q2: I want to change my shipping address for my next order. How can I do this? A: You can update your shipping address online by navigating to "My account" > "Modify Profile," and then modifying the "shipping address." Please verify that the information contained within your account profile is correct once you have modified it. Q1: How can I print the invoice from your website? / Please send us the invoice for order ****? A: Please go to our website. After login, please navigate to "My account" > "Order history." Locate your order, and select the "Print invoice," option. A: We respect the privacy of all our customers. We promise we will never share your personal information with any third parties. Q2: How can I contact you? A: For technical issues, please email our technicians at tech@PCBAstore.com. For all other inquiries, please contact our sales team at sales@PCBAstore.com. Q3: What are your working hours? A: Our hours of operation are as follows (China time zone):8:30 a.m. - 17:30 p.m. (GMT+8) from Monday to Friday8:30 a.m. - 11:30 a.m. (GMT+8) Saturdays.We do not work on Sundays and public holidays. Q4: What is your business hours? A: We have salespeople responding to your email requests or processing your online order once we receive them. We start to review your details whenever your order or email reaches us. We work 7/24/365. Q5: What if I am dissatisfied with PCBs from PCBAstore.com? A: If you find any defects with your PCBs upon receipt in you hand, or if you feel any dissatisfaction about our products or services, please immediately let us know via service@PCBAstore.com, we will respond within 24 hours. We will serve you till you are finally satisfied. We will either repair or re-fabricate your PCB if quality issue occurs, or we will refund full amount to you without returning the defective PCBs. You may also choose to credit your PCBAstore.com account and you may use the credit for your future orders with us.